a creative process always takes time – there are so many ideas in the mind, but to evaluate them and see if your concept is realistic at the end of the day can be very time consuming most of all nerve-racking. but it’s important not to give up on those ideas that maybe seem too impossible or too much input. first of all „it’s never too much“ – that is always what I live by, especially in creating content. you want to stand out with something that you love doing? then go for the extreme, make concepts and try your best to make it happen. thats the best part about my job: I am creatively free. No CEO, no co-worker can put in his veto – ergo I can make things happen. 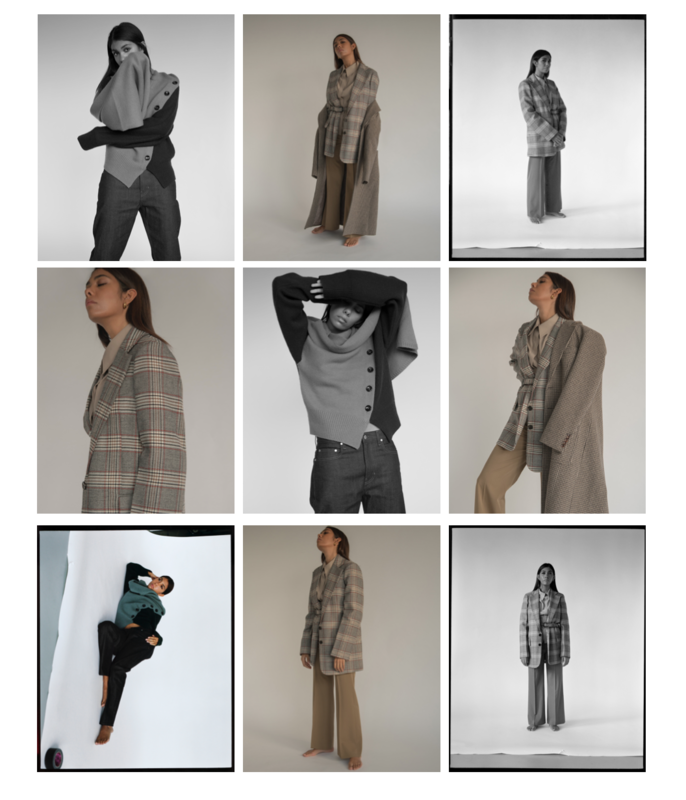 Joseph Ettedgui made things happen not only did he launch is in-house brand JOSEPH in 1972 but he also created a conceptual boutique before with the idea to bring in new designers and ideas to LONDON. 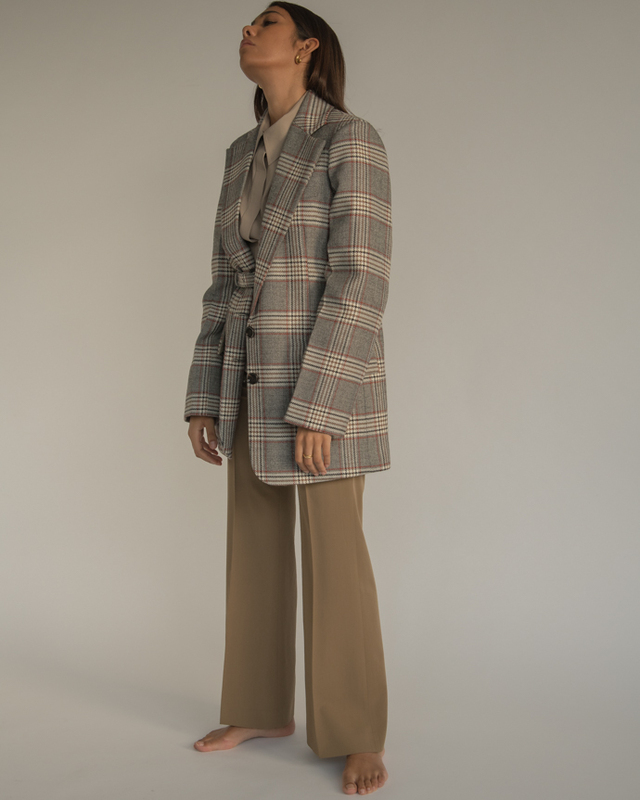 Ettedgui was the first one to sell Prada in London. 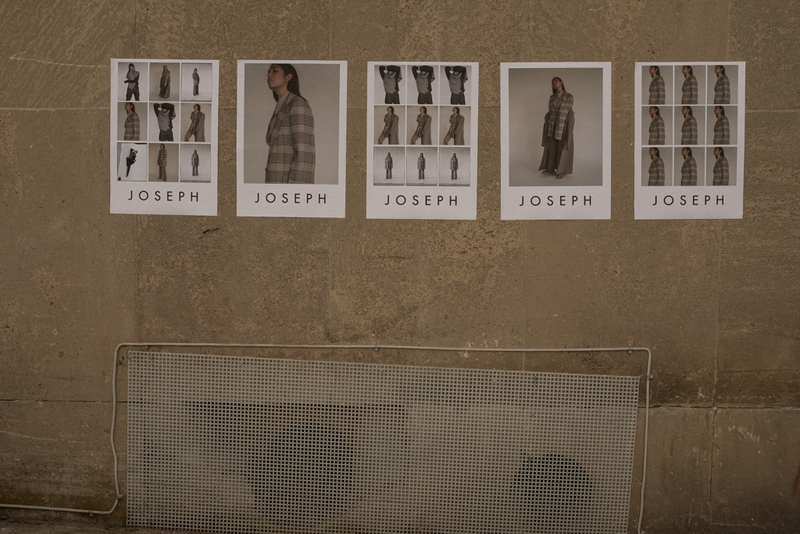 with JOSEPH he made luxury essentials creating modern classics – „somewhere to find inspiration“. 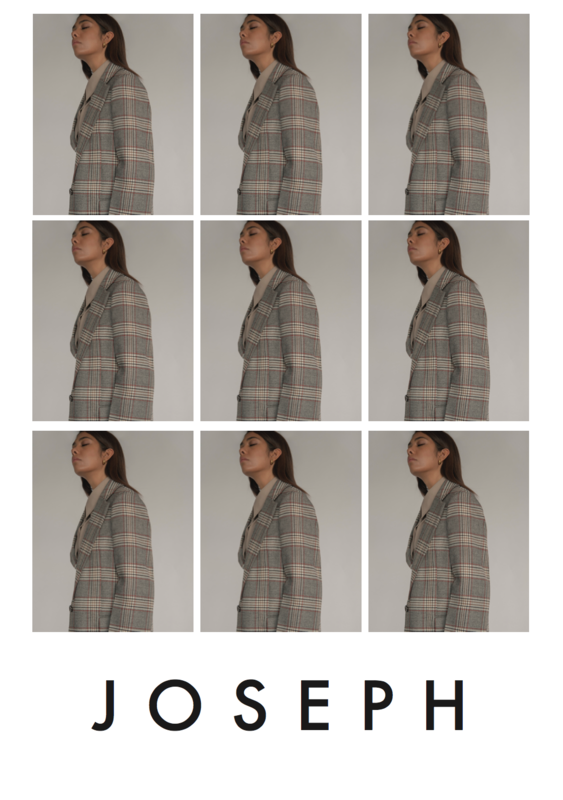 I definitely found inspiration in one of my favorite brands and had the Idea of printing Posters as a visual statement, instead of just taking pictures in the studio. something you might have not seen before created by a small individual (I mean who is mad enough to print themselves on a poster?). 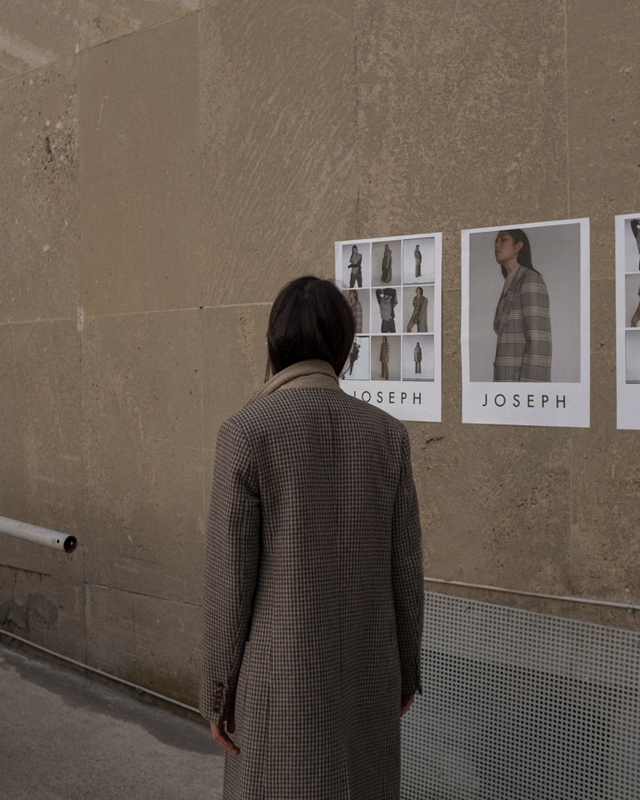 it was the perfect way to highlight the JOSEPH AW18 designs, which all come with sort of a twist, but still don’t loose their identity of modern classics and luxury essentials. 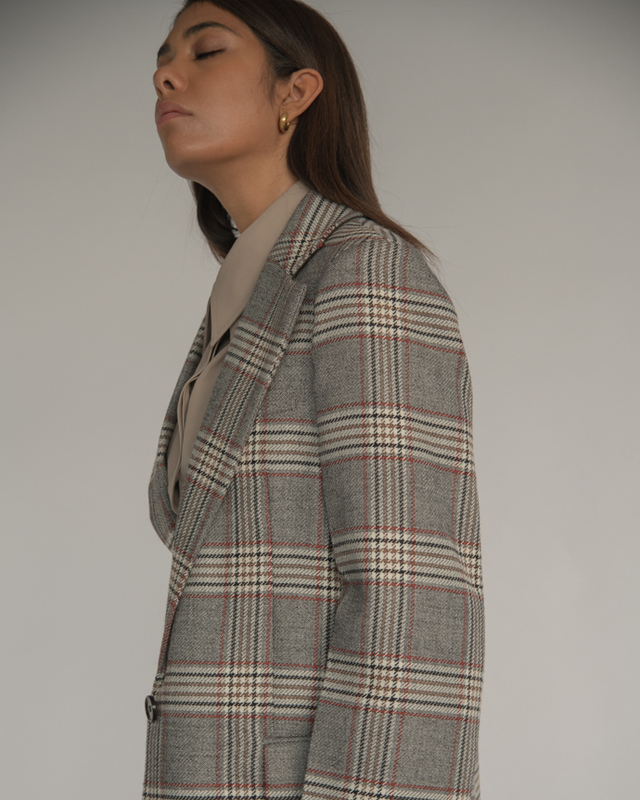 the gemina chevron checked blazer definitely serves you both, with the clever belting detail as statement. as well as the draped wool knit sweater which has this long piece of scarf included is not only a genius 2in1 piece but also has the all eyes on you factor. you should have your eyes open in BERLIN too, maybe you will see me hanging around.